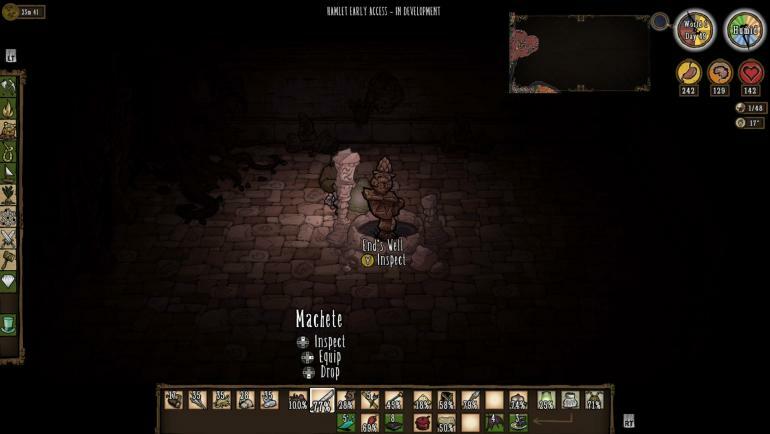 As can be seen in the screenshot, a Lost Relic statue spawned on top of the End's Well. This makes it so that I cannot interact with the End's Well as the statue has a higher priority focus. I also cannot reach the statue to destroy it with a pick axe as the larger collision detection of the End Well prevents me from getting close enough to the statue. Caused by random spawn chance. Has happened to me more than once with both the End's Well and the Wishing Wells.